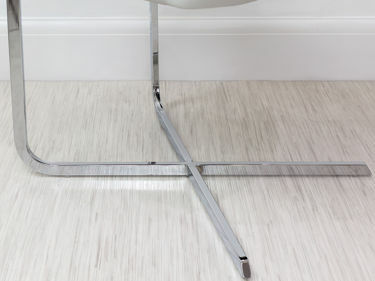 A cantilever style base is a very clever design feature, especially on something as commonly used as a dining chair. 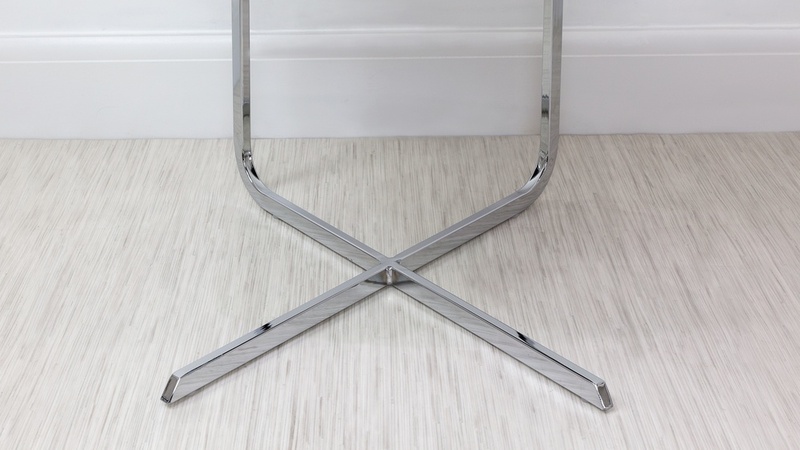 This style base is great for creating a sense of more space around the dining table and in many cases, like with our Rio Cantilever Dining Chair, the base is finished in a shiny chrome which gently reflects the light. This helps add a brighter and more spacious feel to your dining room. What's extra special about the Rio is the cross base; this unique design feature not only looks sophisticated, but also adds an edgy and designer feel to this very stylish cantilever seat. 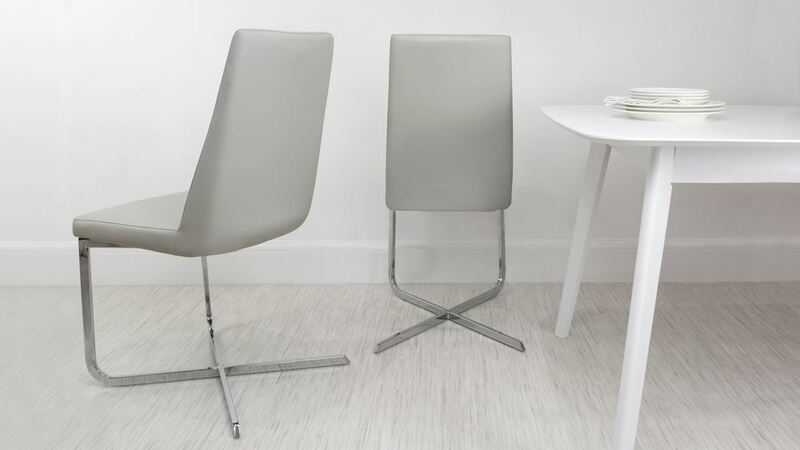 The Rio dining chair has a lovely linear shape with a generous back support. 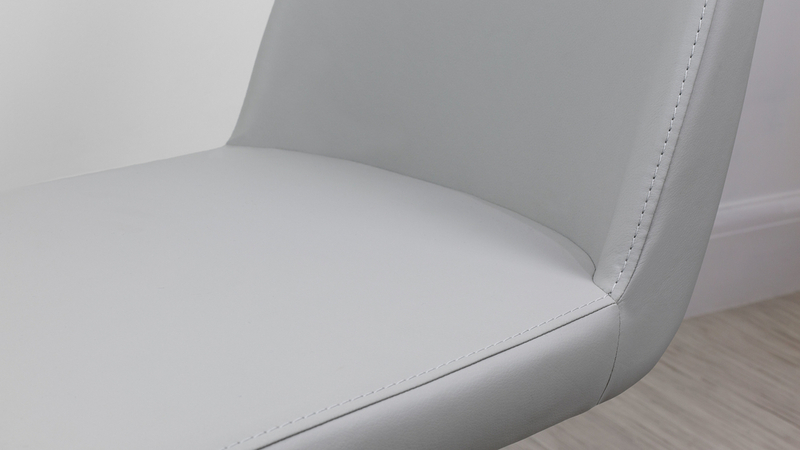 It gently curves around the bottom near the base which 'hugs' the seat and provides extra comfort when seated. 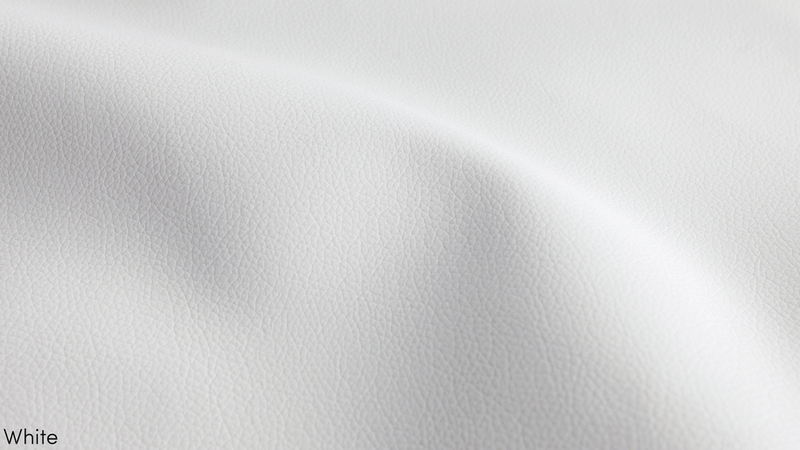 This gives a comforting, cosy feeling whilst still being an open, versatile seat. The chair shape is tapered so that it appears thick at the base and slim at the top which means it is comfortable and supportive without being bulky. The cantilever chrome plated aluminium base gives a gentle bounce when seated, offering added comfort and flexibility, all the while being a contemporary design feature. 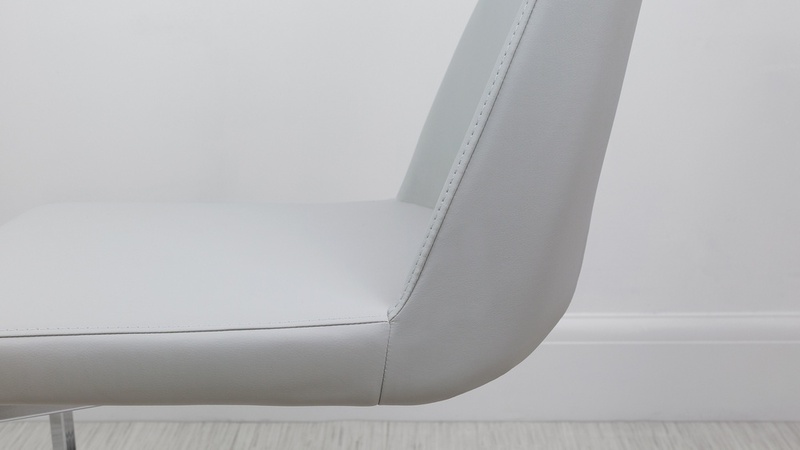 The tube frame base forms a sophisticated detail with its angular crossover and gives the chair a feeling of premium quality whilst maintaining a relaxed feel. This tube frame offers enough support when seated, without making the chair too heavy to move. 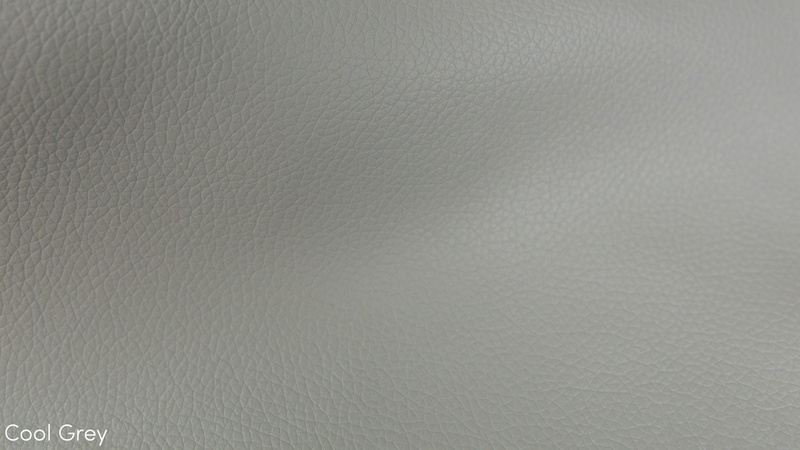 The faux leather finish is available in black, white and cool grey. 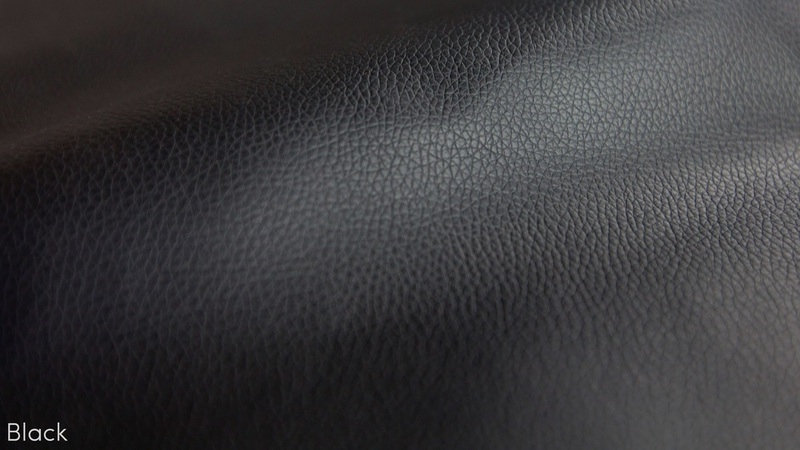 Faux leather is an ideal material choice for dining room seating as it is soft yet durable. 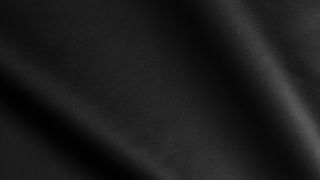 It is very easy to clean and maintain. 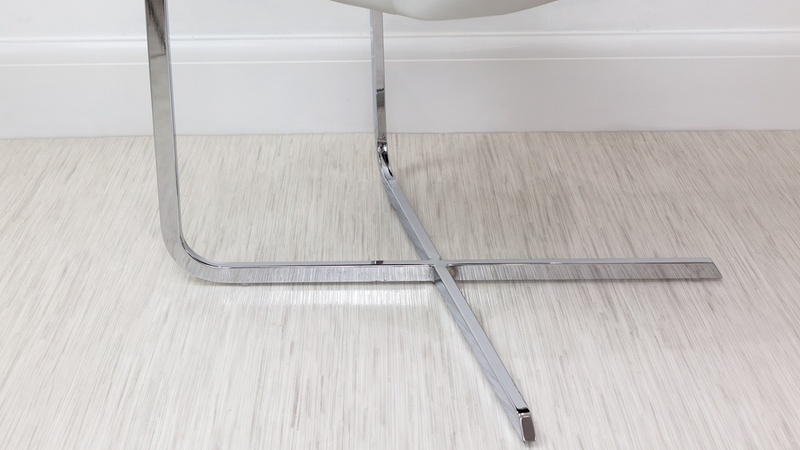 The chairs come with clear floor protectors which will protect your floor and minimise drag noise. This is an important feature when you consider how often you sit down and get up from around the dinner table. 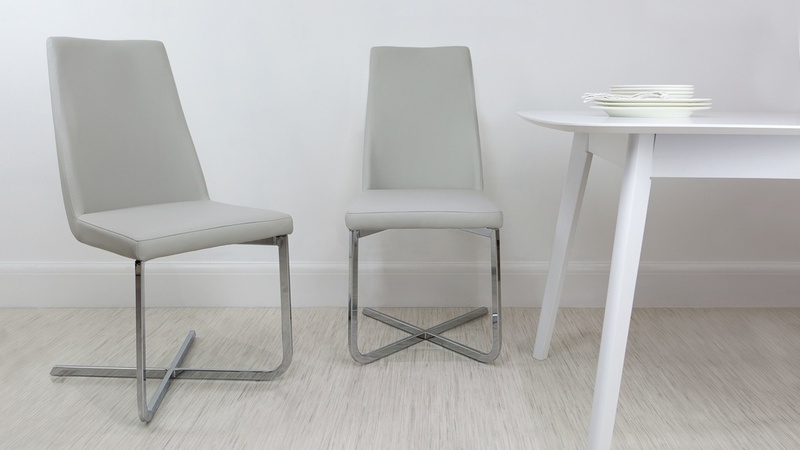 Our Rio Cantilever Dining Chair is an extremely elegant and smart looking seat, without being overly formal. After a slightly more generous sized seat? 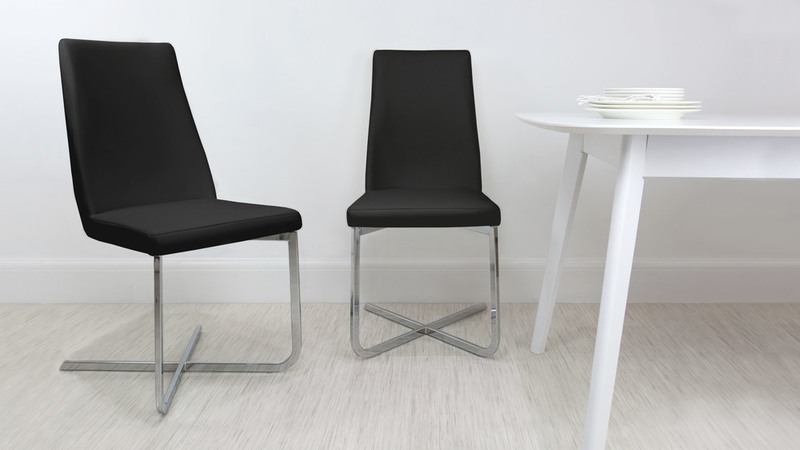 have a look at the Verona Cantilever Chair or our slim but comfortable Imola Cantilever Chair. 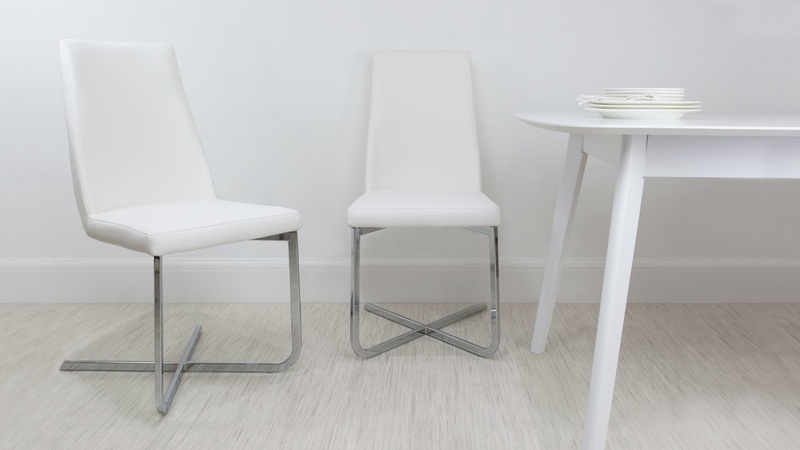 If you are looking for a table to suit these slim, striking dining seats, we suggest pairing them with our Naro tables, available with a glass or white gloss tabletop. 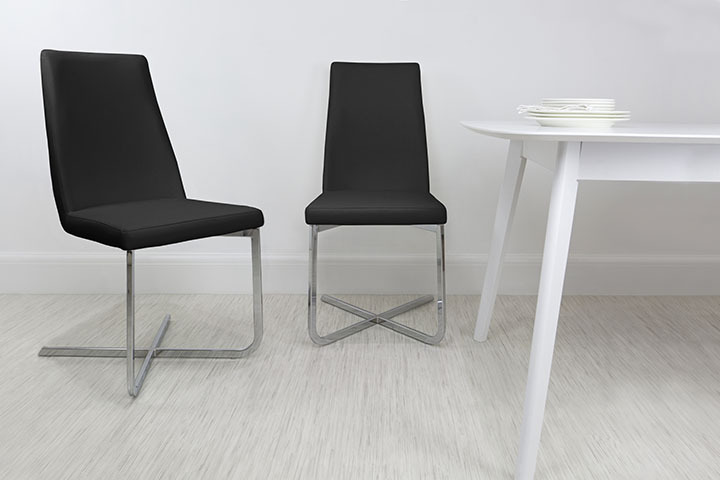 The stand out feature of the Rio chair has to be its stylish angular cross frame base. This designer feature is a sleek and stylised take on a traditional cantilever base, allowing you to easily update your dining space by adding a true contemporary flare. The Rio base is made from chrome plated aluminium which is not only very durable when looked after correctly, but it also gently reflects light, adding a bright and open feel to your dining space.